"SAKURA" (the Japanese word for cherry blossom), is a zine featuring Japanese skateboarding legend, Takahiro Morita. 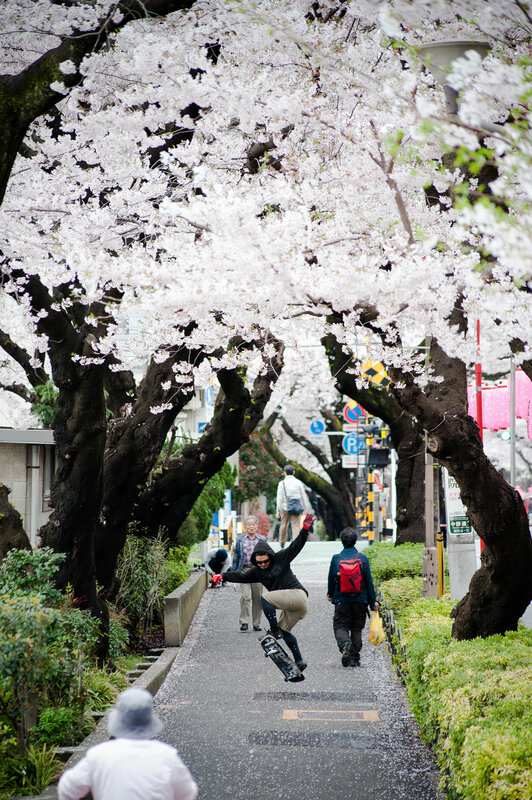 Photographed in Tokyo during the short two week period in which the flowers are in full bloom, "SAKURA" captures the spirit and cultural significance of the cherry blossoms and explores how skateboarding interacts with the flower filled cityscape. Designed by Mike Sikora, and published by the Milk Gallery at Milk Studios, New York. Copies available for purchase at Theories of Atlantis Distribution. Watch the accompanying short film produced by Far East Skate Network here.